NVIDIA’s Pascal based Quadro P6000 graphics card has been reviewed by hothardware in gaming benchmarks. Results from the tech site show that the workstation graphics card features some serious horsepower for AAA gaming titles. 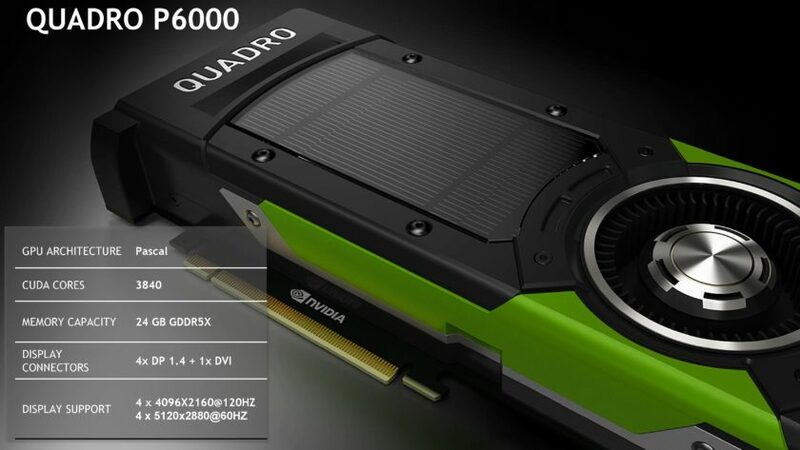 NVIDIA launched the Quadro P6000 solution for workstation and professional users in October 2016. It was unveiled alongside the Quadro P5000. Both solutions are the only Quadro cards to feature the Pascal graphics core. These cards also utilize the full configuration of their respective GPU. The Quadro P6000 comes with the full GP102 core while the Quadro P5000 comes with the full GP104 core. 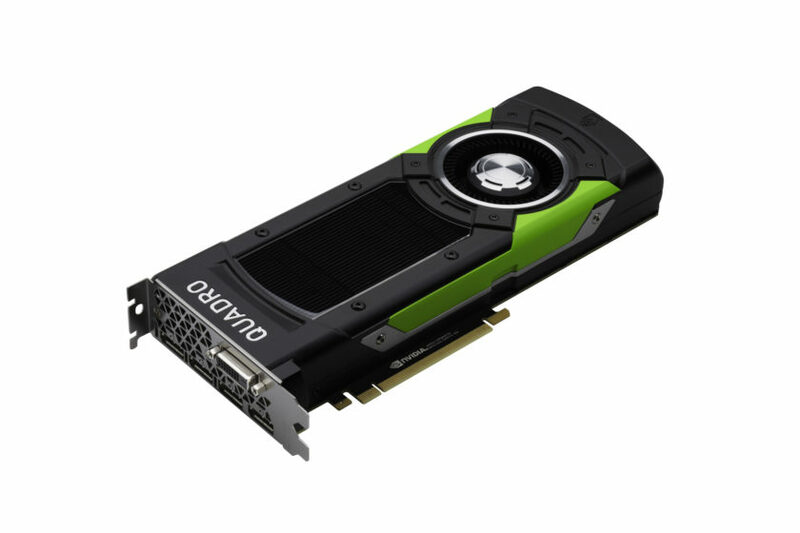 The NVIDIA Quadro P6000 is the flagship Quadro solution. As mentioned before, it comes with the full GP102 configuration of 3840 CUDA cores, 240 TMUs and 96 ROPs. The card has a base clock of 1417 MHz and boost clock of 1530 MHz. With these clock speeds, the card delivers a rated compute output of 12 TFLOPs (FP32) which is higher than the single precision performance on Tesla P100. The card features the highest capacity on Pascal cards with 24 GB of GDDR5X VRAM. The memory is clocked at 9.0 GB/s along a 384-bit bus. The total memory bandwidth on the card is 432 GB/s which is impressive as it is achieved using GDDR5X standard. The card has a rated TDP of 250W which is also lower than the 300W on the Tesla P100. NVIDIA’s GP102 solutions don’t feature double precision hardware like the compute intensive Tesla parts so you get more single and half precision performance with better clock speeds under a lower TDP. One thing to note about the price of these cards is that Quadro variants cost more than GeForce parts. The GTX 1080 retails for $599 while the P5000 sells for $1900 US. Both are based on the same core configs but P5000 ships at lower clock speeds. It’s more tuned in terms of driver to handle workstation and professional loads. Hothardware tested the card in many workstation specific benchmarks but they also used gaming benchmarks to evaluate the performance of this card. 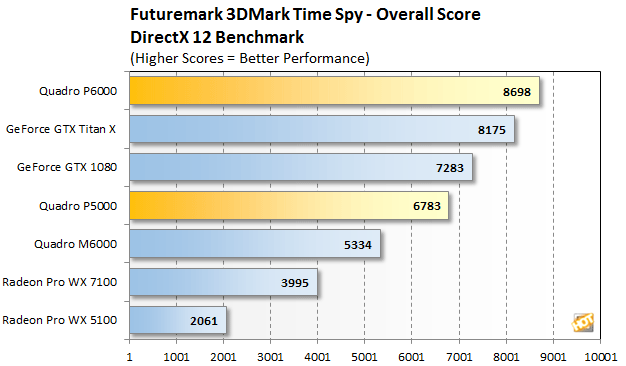 In Futuremark, the card outpaced the GeForce GTX Titan X (GP102) with a score of 8698 versus 8175. The Quadro P5000 was slower than its GeForce counterpart, the GTX 1080. The Quadro P5000 scored 6783 while the GeForce part scored 7283 points. 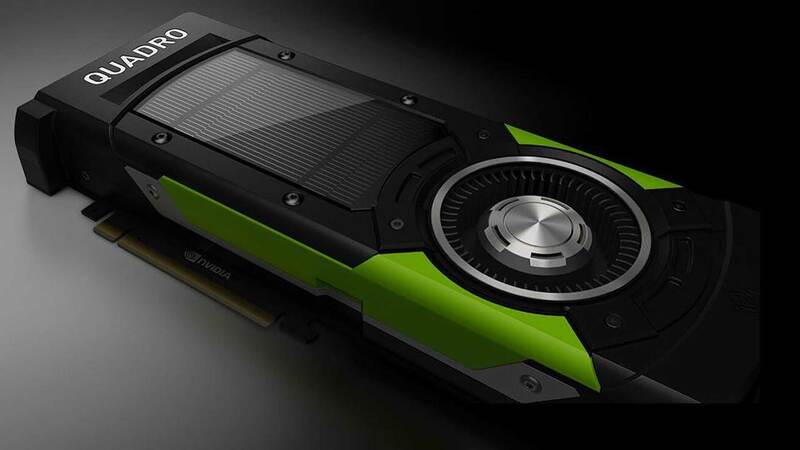 Now the difference between the GTX Titan X and Quadro P6000 comes from the fact that Titan X is a cut down variant of the GP102 core and the P6000 utilizes the full GP102 core. But still, it provides us a glimpse of how a GeForce part with full GP102 would perform. As seen in the P5000 and 1080 comparison, the GTX 1080 runs faster than its Quadro counterpart while being based on the same specifications (although lower clock speeds). In this case, a full GP102 variant would end up faster than the Quadro P6000 which is enthusiast grade and offer a true 4K gaming experience as shown in the next benchmark. 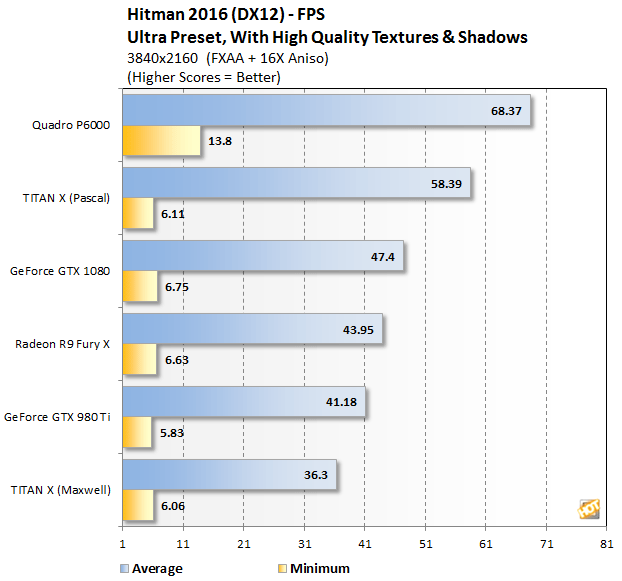 The next benchmark is Hitman 2016 which was tested with Ultra settings at 4K in DirectX 12. This is a pretty graphics intensive title but the Quadro P6000 showed no problems running this title past 60 FPS. 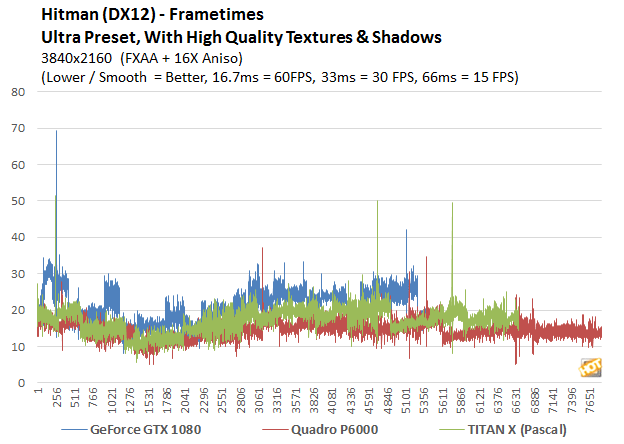 The P6000 had an average FPS of 68.37 while the Titan X (Pascal) had an average of 58.39 FPS. The GTX 1080 and R9 Fury X were scoring averages around the mid-40s. 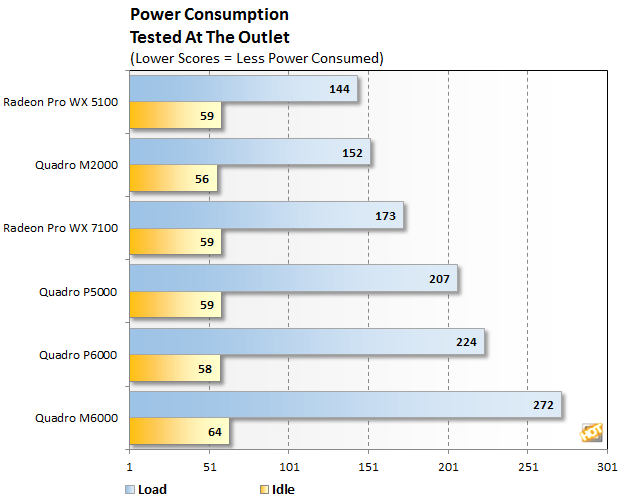 You can check out more benchmarks of the Quadro P6000 and P5000 in the full review at Hothardware. This shows that a potential GeForce variant that utilizes the GP102 core could be the first true 4K card to run games at 60 FPS. The massive 24 GB frame buffer shows minimal frame time in Hitman during the benchmark which equates to smoother gameplay. Of course, it’s too early to say that there could indeed be a full GP102 based GeForce solution, but there’s no reason to doubt it. The GTX Titan X (Pascal) launched in August and has served the market for a good 5 months. A new GeForce product launch is expected in Q1 2017 that will be able to tackle AMD’s high-performance Vega based solutions. If NVIDIA really wants to impress the market with another great Pascal card, they could launch the full GP102 based solution as the GTX 1080 Ti, dropping the previous reports of a cut down model. Regardless of whichever way the launch goes, full GP102 is expected to make an entry into the consumer market.